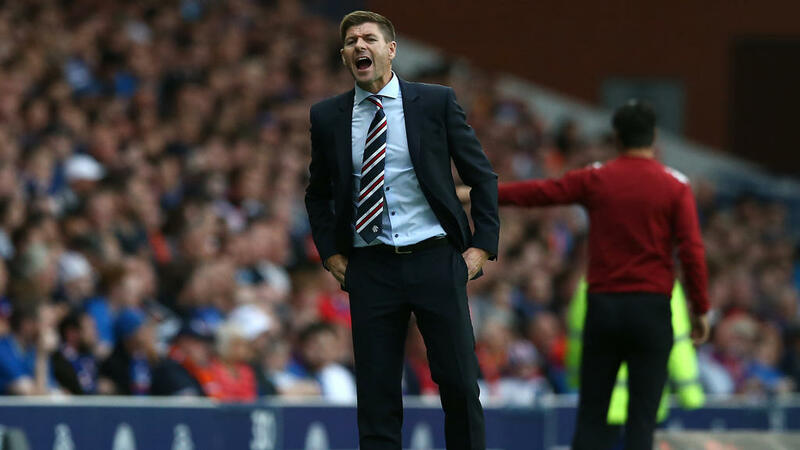 Rangers manager Steven Gerrard believes his team can exploit the gaps in the home defence as Shkupi chase the game in Macedonia on Tuesday. "They came with a game plan to be organised and a team block and to be difficult to break down," said Gerrard. "I respect their game plan at Ibrox but I expect something completely different tomorrow (Tuesday)." The former Liverpool captain added: "Shkupi are losing 2-0 in the tie at half-time so if they come with an aggressive style and they want to push to get back into the tie, I actually think that's playing into our hands, because to push and to be aggressive, they obviously have to take risks. "So we need to be ready to pounce on any risks to kill the tie. We believes one goal kills the tie. "We know it is going to be hot and humid, and it might be a tricky surface and a tricky game, but we are ready for whatever gets thrown at us." He added: "I think the scoreline suggests that FC Shkupi have to be aggressive. "They're the home team so it doesn't make sense for them to be defensive and sit back. So we'll be ready for an aggressive style."